Ceiling fans are great for Australian summers with their ability to circulate large amounts of air in any room to keep you cool and relaxed. As indicated by their name, these energy efficient fans suspend from the ceiling and create airflow with the power to cool down an entire room. They also work well when coupled with air conditioning and are great way to cut back on energy costs. 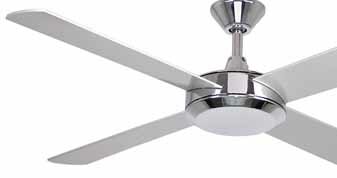 With adjustable settings, you can increase or decrease the speed of your ceiling fan depending on your preference, creating the perfect temperature for your home at all times. Many of our ceiling fans come with lights so you can install one in place of a ceiling light and enjoy the additional features and benefits it provides. 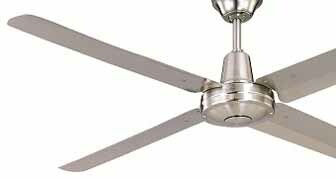 Lights2you has an extensive range of the best ceiling fans in Australia from trusted brands including Martec, Mercator and Hunter Pacific. Our collection of ceiling fans online come in a variety of different styles and colours to suit both indoor and outdoor spaces; from the brushed chrome and brass industrial look, to modern designs with stainless steel and aluminium fan blades. For those after a more classic style, we also stock your standard white and black fans. 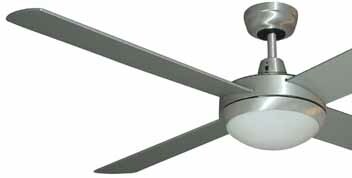 Explore our range today and buy ceiling fans online for your living room, bedroom, deck and more now.